Drum Boarding Kennels - quality licensed boarding for your cats and dogs. 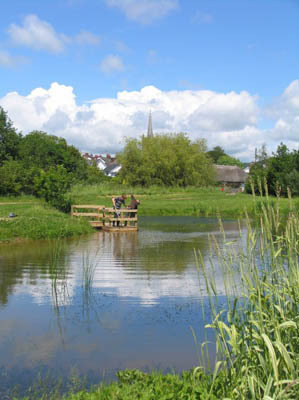 Deepway Meadow - also known as Sidbury Millennium Green - is a public open space for informal recreation in the heart of the village. 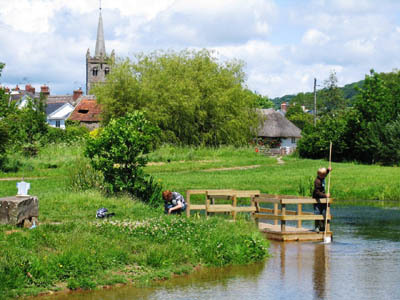 Created as a Millennium Project in 2000, the meadow sits adjacent to the River Sid and has grassland, woodland planting, a pond, dipping platform and rustic benches. A public footpath passes through the site. The village cricket pitch is accessed through the site. An interpretation board informs visitors of the history of the site and the wildlife you can expect to see at the Meadow. The site is managed for its wildlife and can be used by dog walkers who are respectfully requested to clear up after their dogs and use the dog bin provided. The site is the responsibility by the Sidbury Millennium Green Trust - Reg Charity no 1084926.